The UNLV men’s golf team is in fourth place after the first two rounds of the National Invitational Tournament at OMNI Tucson National. 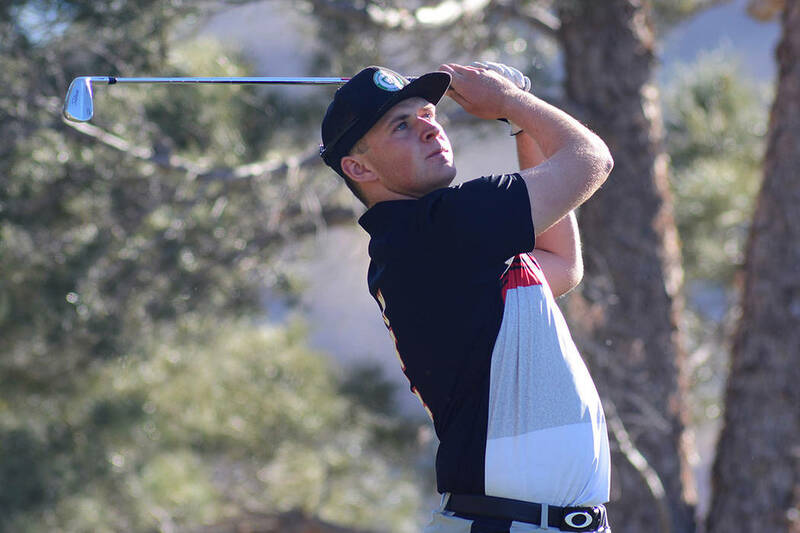 TUCSON, Ariz. — The UNLV men’s golf team is in fourth place after the first two rounds of the National Invitational Tournament at OMNI Tucson National. The Rebels shot rounds of 282 and 275 to sit at 19-under 557, 14 shots behind leader Arizona State. UNLV senior Harry Hall is tied for fourth as an individual after rounds of 66 and 68 left him at 10-under 134. Southern California’s Justin Suh leads at 14-under 130.